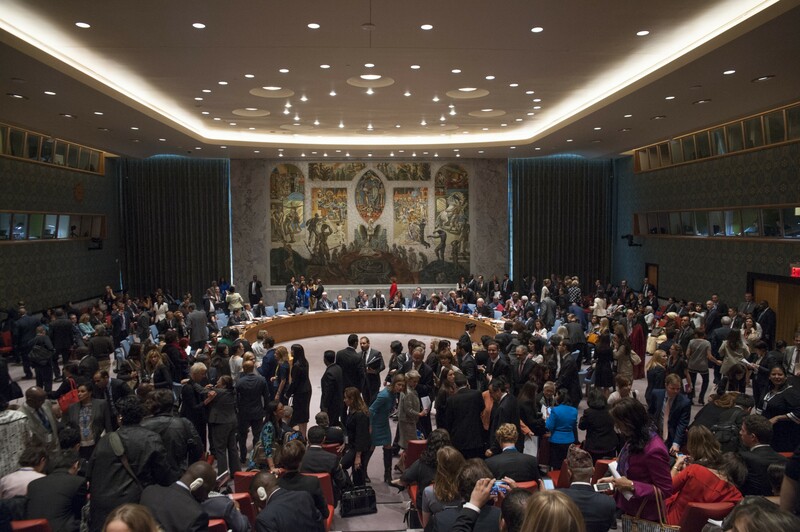 Fifteen years ago, this Council passed a resolution recognizing that the inclusion of women’s voices in peace and security decision-making leads to more equitable, sustainable, and resilient results. This is not a theory — it is a fact. The Global Study commissioned by the Secretary-General on the impact of this resolution and the challenges still faced offers ample evidence; one qualitative study found that peace processes with female participants demonstrated a 20 percent increase in the probability of an agreement lasting at least two years. As the Security Council, we are not faithfully advancing international peace and security if we are not doing everything possible to ensure that women are included and empowered in peace processes. As others have noted today, the last 15 years have seen some measurable progress. This is evident in the advances of individual countries, particularly in the area of women’s participation. When Resolution 1325 was passed, women in Afghanistan could not leave their homes unaccompanied by a man. Today, Afghanistan has two women governors, four women Cabinet members, 150 women in the judiciary, and a 28 percent representation by women in Parliament. Progress is apparent too in the greater involvement of women and greater attentiveness to gender issues in peace processes. Over the last 15 years, the percentage of peace treaties referencing women has increased nearly two-and-a-half times, to 27 percent. And as others have noted, during the ongoing Colombia peace talks, a dedicated gender subcommittee was established to ensure gender issues were considered and women’s rights were recognized. But the numbers and stories also reflect how far we still have to go. The number of women members of parliament around the world has roughly doubled over the last two decades — but the current proportion is still a mere 22.5 percent. In my country, it is at a record high: just 19 percent. Even in the case of the Colombian peace negotiations, there is nothing close to gender parity, and the increased inclusion of women came after active organizing and lobbying by female leaders. Mary Robinson, the former Irish President and current Special Envoy for Climate Change, recalls a female civil society leader once telling her that “a typical peace process involved bad men forgiving other bad men in fancy hotels in front of television cameras.” Not every aspect of that image rings true today, but the image is entirely too familiar. Moreover, women continue to be harassed, assaulted, and murdered for daring to speak up or get involved. Last year, a prominent, remarkable woman named Salwa Bugaighis, a friend and colleague of Ms. Murabit’s who had previously resigned from parliament to protest its lack of women, was murdered in her home on election day. Just yesterday, an Afghan woman named Toorpakai Olfat, a human rights defender and employee of the UN Mission in Afghanistan, was killed as she headed to work in Kandahar. Around the world, too many other women continue to be harassed or imprisoned by their governments for doing nothing more than speak up on behalf of their communities — including 18 of the 20 women profiled last month by my government on the occasion of the 20th anniversary of the Beijing Declaration. In the face of such continued challenges, there are two areas I want to highlight today in which the Council must play a particularly active role. The first is peacekeeping. As the Secretary-General has reported, the insufficient number of women peacekeepers interferes with core mission tasks like protection and engagement with female community members. This is why President Obama, at last month’s peacekeeping summit, called for more women leaders in critical mission roles. It is why we’ll all benefit from the fulfillment of the pledges made by several nations, including Rwanda and India, to contribute more female troops and police. 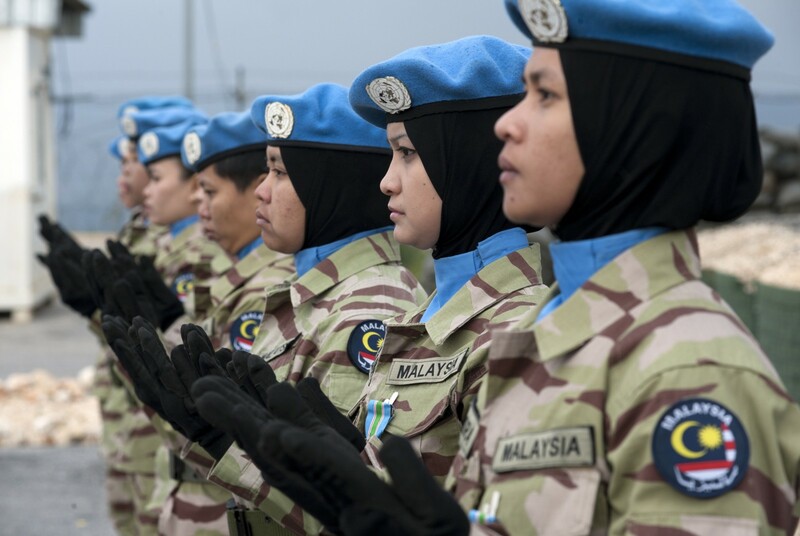 In addition to more women wearing blue helmets, we must take every step to root out sexual exploitation and abuse by peacekeepers, which is too prevalent. Countries must better train their peacekeepers so as to prevent SEA, and they must hold fully accountable any soldier or staffer who commits such crimes. As President Obama said last month, and as the Secretary-General has made clear, there should be no tolerance for these crimes — zero tolerance. Yet, too often the perpetrators of such crimes today enjoy impunity. Second, the Council must ensure that women are full participants in combating the threat of violent extremism. This is essential not just because women and girls are often the victims of groups like Boko Haram and ISIL. It is because defeating these groups will require the leadership and active involvement of women, as community influencers and leaders, whether in the village council or here in the Security Council. This fact has been recognized by some diplomats, leaders, and states. UN Special Envoy for Syria Staffan de Mistura has actively worked with civil society and women’s rights organizations during his consultations and negotiations. The Iraqi Council of Ministers endorsed an emergency plan in May that referenced Resolution 1325 and called for measures to address the needs of women and girls in conflict situations and to facilitate their involvement in post-conflict reconstruction. Well beyond ensuring the Council’s engagement in these two core areas, there is much more that each of us here can do. In all of our respective roles — as UN Member States, as national representatives, and as individual leaders — we must look inward. Within the United Nations family, we must continue to integrate and act upon the goals of Resolution 1325. This includes supporting the Secretary-General’s commitment to elevate the work of senior gender advisers and to include more women within the UN’s senior ranks. It means ensuring that all UN agencies and bodies engaged in peace, security, and development take responsibility for integrating women’s voices into their work. And this should be measurable. As national representatives, we must hold our own governments to account. In the United States, our government has been moving forward with our National Action Plan. The Department of Defense, to take just one example, has taken important steps, including through integrating women, peace, and security objectives into its policy, strategy, and planning. At the State Department, 35 percent of mission chiefs are now women — an improvement of the 10 percent level of 20 years ago. But still, not yet half. As part of this National Action Plan, we’re also assisting other nations in their own efforts, and today I’m pleased to announce new commitments to that end, totaling $31 million. To describe just a few examples here, this includes more than $14 million for initiatives to protect women from violence and promote their participation in peace processes and decision-making, as well as more than $8 million to implement Secretary Kerry’s Accountability Initiative to fight impunity for sexual violence in the Central African Republic, the Democratic Republic of Congo, and Liberia. Another $1 million will go to a justice initiative based in the DRC’s South Kivu province that seeks to educate 50,000 women on their human rights and how to use basic judicial procedures. Finally, as individual leaders, we must look inward to see what more we can do in our own positions. For women, and particularly for men, it is not enough to be passively supportive of women’s participation. Whether it is pressing one’s capital about progress on one’s National Action Plan, or pressing for women’s participation in internal decision-making processes — each of our support must be active and vocal. I would only elaborate, we will do it together or we will not do it at all.